Firefighters Community Credit Union (FFCCU) is a co-operative owned and operated by its members. First incorporated in 1936, their mission is to encourage thrift among their members, create a fair source of credit and to give their members the opportunity to improve their economic and social conditions. 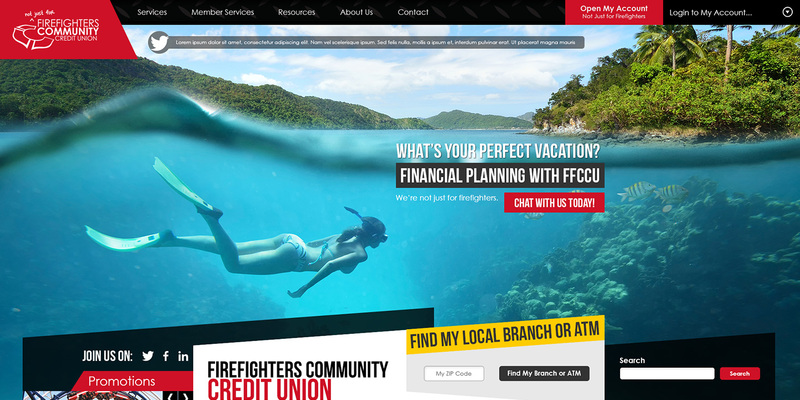 The Firefighters Community Credit Union approached us after a year-long search for a web design company, on recommendation from members of their upper-management team. Upon their request we responded to their RFP and won the contract. 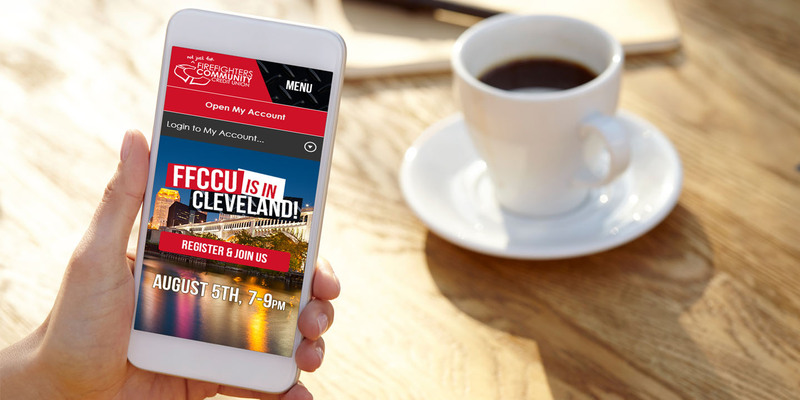 The Firefighters Community Credit Union provided us with their brand documentation and vision, and tasked us with re-imagining their online presence and building a foundation for their marketing staff to use more effectively. The website needed to be accessible from anywhere and for their members (especially those on-the-go) to identify the information they needed quickly and easily. We’re unique, and it’s important our website reflect that uniqueness. 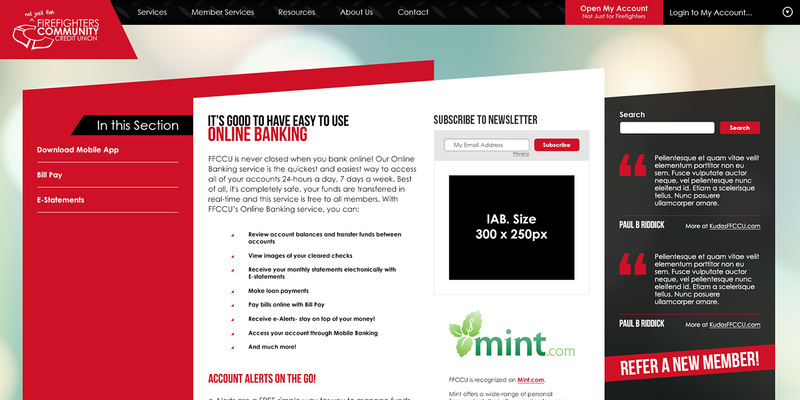 During discovery we learned just how unique the Firefighters Community Credit Union really is and how their brand and website needed to reflect their voice. We dove deep into the demographic and psychological profiles of their audiences, why they come to their website and in what ways they could be better served going forward. We documented their client profile based on our discovery materials, and proposed a style and a direction for their website that captured their essence and made them stand out from their peers. From this blueprint, we created their new website, uniquely suited to their brand and filled with the tools they needed to support their marketing efforts better than ever before. The effectiveness of our work was reinforced by positive reactions from their members [customers] on social media. Let's talk about your website project!